We have obtained CSA certification. We involved in the approval process with regards to the standards to which the product was tested or the meaning of the mark shown on the product or product packaging. 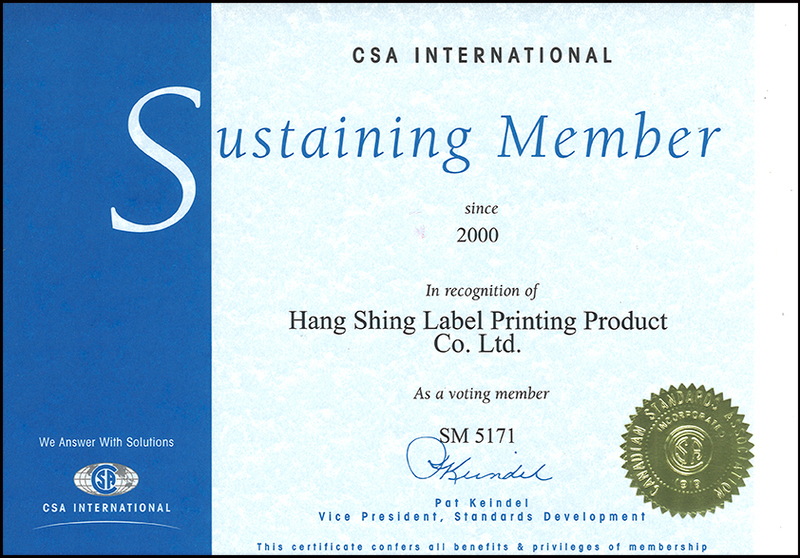 © Copyright 2019 Hang Shing Label Printing Product Co. Ltd All right reserved.